The second demo for Sonic Generations was the game's "official" demo released to the public before the game's release date. This demo is much like the first demo, allowing people to play Green Hill Zone with Classic Sonic.  This new demo added a menu allowing selection of either Classic or for the first time to the public, Modern Sonic. Modern Sonic's gameplay in Act 2 resembled his more modern titles like Sonic Unleashed and Sonic Colours, and the new demo let people try his tweaked controls before the game finally released. After playing either act once, the game returned to the title screen like the previous demo, with a notice saying the game was releasing November 2011. This demo has no expiration date, unlike the first demo. This page was last edited on 27 September 2018, at 15:38.